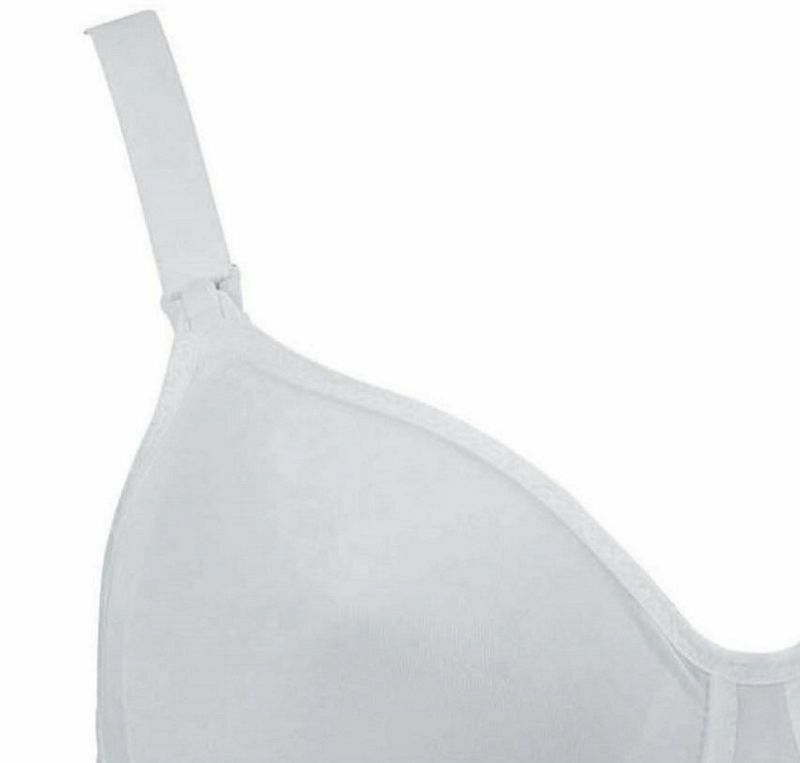 Would you prefer an underwired white nursing bra? How about the 5035 from Anita. It will give you a really flattering look and provides soft yet elegant support. Furthermore, this is our best selling underwired nursing bra. This bra looks sensational thanks to the jacquard design. The straps are shiny elastic and are also adjustable at the back, giving you more flexibility. The back of the bra has a transparent jacquard design – all features that you will love. Would you prefer the support of preformed cups? If so, you will love the 5035 and the fact that the cups are surprisingly soft helps make sure you are even more comfortable. When it comes to feeding your baby, you will usually have only one free hand. This means you will really appreciate the Anita Kwik Klip feature which allows you to easily open the bra with just one hand – so no fumbling around! If support is important to you then you will really like the fact that when the bra is open your free breast is held by a supporting system of breast supports which go all the way round to the base of the strap of this bra. Why should you choose this underwired nursing bra? Well, it is our best selling underwired breastfeeding bra, is very supportive and it looks lovely!